Fanta is launching a virtual reality experience for Halloween, in which an elevator car crashes to the ground, at Thorpe Park and Westfield Stratford. The experience will be at the Surrey theme park every day until 1 November, and in East London until 29 November. Guests will be invited to enter the elevator and ride to the 13th floor to attend a Halloween party, with scary surprises awaiting them on their journey. The brand is also rolling out limited edition packaging with spooky graphics by Israeli designer Noma Bar. The packs feature a QR code that can be scanned to access branded Snapchat filters and lenses – which include the likes of a China Doll shedding tears of Fanta. The brand has also recruited influencers to recreate the Snapchat filters using make-up and costumes. Coca-Cola said the marketing campaign, which also includes digital out-of-home ads and in-store visuals, marked its biggest ever investment in Halloween. 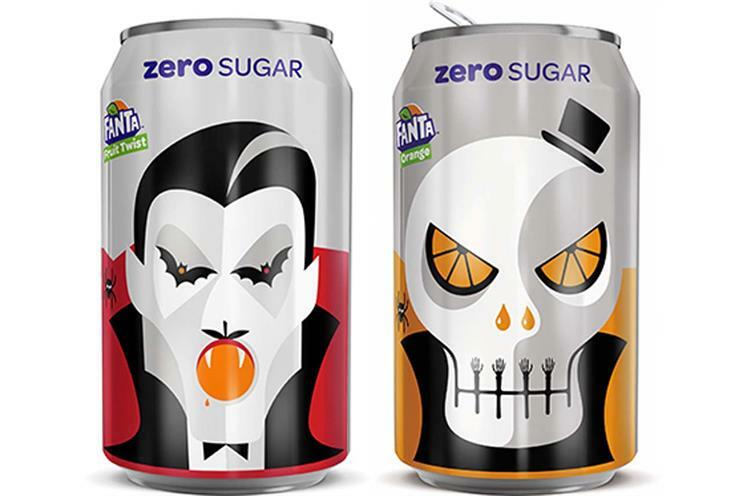 Rosalind Brown, marketing manager at Coca-Cola Great Britain, said: "Halloween is a fast growing sector in the UK and this is largely driven by millennials – Fanta’s key demographic – making it the perfect occasion to engage with our fans. "We know that experiences are of the utmost value to millennials and so using platforms like VR and Snapchat allows our fans to create relevant and exciting experiences and then share them online"
Simon Harrison, operational marketing director GB at distribution company Coca-Cola European Partners, added: "Halloween is now the fourth biggest retail event in Great Britain and represents a huge opportunity for retailers and brands alike."